Dinner is served at 7.16 and finished at 7.20 pm. From 8.09 to 9.59 pm symphonic readings (out loud). I go to bed regularly at 10.37 pm. Once a week, I wake up with a start at 3.19 (Tuesdays). My only nourishment consists of food that is white: eggs, sugar, grated bones, the fat of dead animals, veal, salt, coco-nuts, chicken cooked in white water, fruit-mould, rice, turnips, camphorised sausages, pastry, cheese (white varieties), cotton salad, and certain kinds of fish (without their skin). I boil my wine and drink it cold mixed with the juice of the Fuschia. I am a hearty eater, but never speak while eating, for fear of strangling. Satie gave his idiosyncrasies a voice in his music. 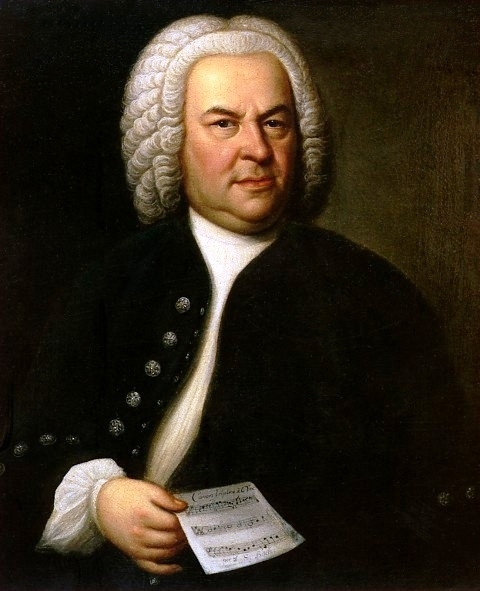 His compositions paid little heed to the lessons taught by his teachers at the Paris Conservatory, who branded him “worthless” and “the laziest student in the Conservatoire.” Yet of all the composers I’ve written about so far, arguably none wrote music which bears such close relation to so much of what we listen to today. Satie’s music was an important precursor to minimalist and ambient music in particular, characterized by repetitive motifs, a trance-like quality, free-form compositional structure, and an abandonment of traditional notions of exposition and development. Brian Eno, a composer of ambient music, wrote that it “must be able to accommodate many levels of listening attention without enforcing one in particular; it must be as ignorable as it is interesting.” Satie was said to be inspired by music he chanced upon at cafés and nightclubs, where this paradox is often in effect. Satie’s music does away with the Romantic tradition of building towards a denouement, tending to progress evenly and without embellishment. The dramatic effect of his work is brought about not through contrast, but through consistency, and its beauty is universal rather than emotive in nature. Another composer that I’ve always seen in a similar light is Bach, in whose works to my mind Satie’s music has its earliest origins. Listen again to the prelude from Bach’s Well-Tempered Clavier and see if you agree that Satie’s music is written in the same spirit. Gymnopédies No. 1 and No. 3, orchestrated by Debussy (he never orchestrated the second), played by the Orchestre Symphonique et Lyrique de Nancy. Satie’s music greatly influenced Debussy, and was also admired by Ravel. Satie is thought to have had only one relationship in his life, with his neighbour, an artist and model named Suzanne Valadon. When you read a bit about the kind of person she was, it’s easy to see why Satie fell for her: she considered her two cats to be “good Catholics” and fed them caviar on Fridays, and kept a goat to eat any artwork she was unsatisfied with. Satie nicknamed her “Biqui”, and in a characteristically quirky labour of love he wrote her a jarring, utterly unromantic four-bar piece called Bonjour, Biqui, Bonjour!​ The relationship lasted just six months however, and her abrupt departure left him devastated. He wrote to his brother: “I shall have great difficulty in regaining possession of myself, loving this little person as I have loved her; she was able to take all of me.” Satie poured his heartache into a piece called Vexations, which consists of a short and sinister theme repeated a nauseating 840 times. The piece wasn’t performed in full until 1963, when the composer John Cage staged it with a relay team of 11 pianists over the course of 18 and a half hours. Below is a video featuring one cycle (the image contains the words of Satie’s original score marking). To end this post I thought I’d include some examples of minimalist music influenced by Satie, written by a composer still living today – Philip Glass. I’d be interested to hear in the comments what people think of the music – I personally love it, though some people might find it difficult to listen to (especially the second piece). I hope you like it! I find the link to Philip Glass fascinating, and thanks to Satie am able to appreciate music without denoument. A great read and a great composer… I think his influence has been ignored at times because he was a bit eccentric! I love Satie! very nice writeup on this genius composer. just yesterday a random guy asked me what do I know about Satie, & besides the very basics I didn’t know much. Your post really enlightened me, thanks! The story about Vexations is amazing – I wish I could attend that John Cage staging.. & very cool reference to Glass, never noticed this connection.